nogaholding, the investment arm of Bahrain’s National Oil and Gas Authority (Noga), has substantial expansion plans and expects to invest in excess of $7 billion across several separate ventures in the next five years, says Bahrain’s Minister of Oil, Shaikh Mohammed bin Khalifa Al Khalifa. nogaholding has already expanded its assets portfolio with Bahrain LNG, recently forming a joint venture with a consortium of Teekay, GIC and Samsung. The proposed Bahrain LNG Import Terminal will enable the kingdom to import LNG to augment gas production from the Bahrain Field, helping to manage the seasonal swings in gas demand, and lengthen the life-span of gas reserves, while also providing additional reliability at peak demand. The LNG Import Terminal positions Bahrain as a key player within the region and allows for potential future collaboration with GCC neighbours, Shaikh Mohammed tells OGN in an exclusive interview. Referring to Bahrain’s gas position the minister says, the kingdom’s indigenous proven gas reserves are limited and meeting future growth in domestic gas demand represents a major challenge for the kingdom. This is due to high demand from the power and water desalination sector, and ongoing industrial developments. Therefore, the kingdom would import LNG by 2019 to supplement the domestic production and ensure that gas demand can be met, says Shaikh Mohammed. Bahrain Gasoline Blending has also joined nogaholding’s family. 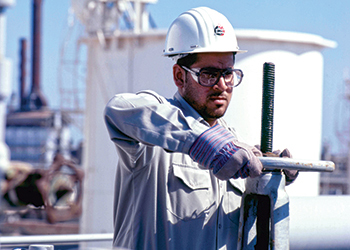 Bahrain Gasoline Blending is a joint venture between nogaholding-Bapco and Greenergy of UK. The joint venture will combine Bapco’s infrastructure and refinery gasoline production with Greenergy’s blending, terminal operations and trading expertise to meet Bahrain’s domestic demand for gasoline blend components as well as create opportunities to import and export. Meanwhile, Bapco has completed the front end engineering design (Feed) for its Bapco Modernisation Programme (BMP), and the bids for the engineering, procurement and construction (EPC) phase of the project were received in December 2016. 'We aim to kick-off the final execution phase of the project next year with commissioning and start-up anticipated in 2021,' he says. In 2015 Bapco Refinery’s gross refining margin was the highest since 2009. Could you please comment on the strategies that the kingdom’s state oil and gas companies are undertaking to mitigate the impact of global energy market volatility? Bapco is in the margin business, and product realisations have held up reasonably well in spite of the volatility in crude oil prices. Bapco was able to take maximum advantage of this in 2015 by maintaining stable and safe operations with a high on-stream factor. More crude was processed than any year in the last decade, including a record 50,600 barrels per day (bpd) of Bahrain crude, maximising revenue for the kingdom. An optimal yield of high value middle distillates was also achieved, because of well executed hydrocracker operations. Longer term, the Bapco Modernisation Programme will ensure that the refinery remains competitive under a wide range of product prices and market scenarios. The kingdom is in the midst of a multi-billion dollar strategic investment programme, centred on the Bapco Modernisation Programme. Could you please update us on two of the key projects related to this: the Refinery expansion and the onshore Bahrain portion of the new A-B pipeline link from Saudi Arabia? Bapco has completed the front end engineering design (Feed) for its Bapco Modernisation Programme (BMP), and the bids for the engineering, procurement and construction (EPC) phase of the project were received in December 2016. We aim to kick-off the final execution phase of the project next year with commissioning and start-up anticipated in 2021. All new units will function in compliance with applicable local environmental regulations, World Bank guidelines and the Equator Principles. The new A-B Pipeline Project complements the Bapco Modernisation Programme (BMP). Following a public tendering process in which thirteen contractors submitted their bids, a recommendation for award of the Bahrain Onshore Construction contract has been made to the Tender Board, and will be announced once the necessary formalities have been completed. Construction work has already commenced on the Saudi side, and we expect the new A-B Pipeline to become operational by the end of 2018. What has been the progress on the efforts to explore for tight gas in the kingdom? What has come of the deep gas initiative started in the kingdom? Bahrain’s Deep Gas initiative has identified potential additional gas resources during the first exploration phase which was completed by Occidental Petroleum in October 2015. Further assessment of the commercial potential is under way. What is the supply-demand situation of natural gas in the kingdom? Since the LNG terminal will be ready only by July 2018, would Bahrain consider importing gas to meet rising demand? Currently, the kingdom’s domestic natural gas provides necessary energy to sustain development in most sectors of economy, including power, water and industrial sectors. However, the indigenous proven gas reserves are limited and meeting future growth in domestic gas demand represents a major challenge for the kingdom. This is due to high demand for power and water desalination sector, and ongoing industrial developments. Therefore, the kingdom would import LNG by 2019 to supplement the domestic production and ensure that gas demand can be met. What measures are being taken to maximise gas production in the kingdom? In order to meet the kingdom’s future gas demand growth, Noga has undertaken a number of measures to maximise gas production in the kingdom along with gas import option. These measures include a substantial investment for development of the onshore Bahrain Oil Field, exploration of deep gas for commercial gas resources in pre-Khuff reservoirs, exploration and development of the offshore blocks. 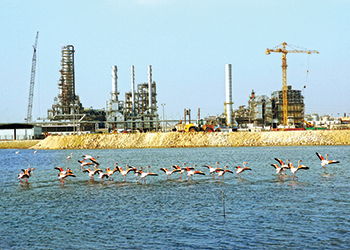 Bahrain, through Tatweer Petroleum and Bapco, is a regional renewable energy pioneer. Could you please explain how renewable energy is being integrated into the national energy mix, and the kingdom’s targets in this regard? Although the development of renewable energy is at an early stage in Bahrain, it presents a great investment opportunity. The kingdom has proved its commitment to pursuing the goal of including renewable energy in its energy mix with a pilot project of 5 MW Solar Energy, installed at Bahrain Petroleum Company (Bapco) headquarters in Awali, Bapco Refinery and the University of Bahrain. In addition, in early 2016, Tatweer Petroleum inaugurated a new solar power plant. The new 1 Megawatt solar power plant supplies 10 per cent of the company’s power consumption. The solar energy panels connect to the company’s power grid and supply enough power to the head office. It is worth mentioning that the Kingdom of Bahrain and United Nations Development Programme (UNDP) signed an agreement in November 2014 to set up a Sustainable Energy Unit, in order to secure a sustainable mix of energy sources that meet existing and future targets that are derived from Bahrain’s Vision 2030. In an historic move, the government reduced fuel subsidies at the beginning of 2016. Could you please outline some of the principal impacts on the decision, both in terms of generating revenue for the government and also on energy consumption patterns (for both businesses and individuals)? In light of the raised energy tariffs can Bahrain maintain its reputation as a competitively-priced location for energy-intensive industrial ventures? The government has decided to revise the pricing of the natural gas in January 2015 because it realised that continuing with lower gas prices is no longer sustainable for the Kingdom of Bahrain. As you are aware, the kingdom would import LNG in the coming few years at international prices and/or produce potential domestic deep gas with higher production cost. In fact, the new resolution addresses the gas customers concern on the necessity of having a clearly defined gas pricing policy. It also represents a transition period of a few years during which the gas price is adjusted upward gradually until it reaches an adequate price level. The rationale for the new decision includes conserving the limited resources of gas and encouraging the improvement of energy efficiency, promoting investment in energy intensive projects, enhancing the government’s budget and supporting the development of the national economy, besides preparing the customers for future higher cost of imported LNG or domestic deep gas. In 2016 the government of Bahrain increased the prices of fuel in the local market. It has increased the regular gasoline grade (RON 91 octane) from 80 fils per litre to 125 fils per litre and the premium grade (RON 95) from 100 fils per litre to 160 fils per litre. The decision to increase the price of the local gasoline product has always been part of the government plan to cutback the subsidies from certain services and commodities such as fuel, electricity and water. The timing of the decision was also in line with most of the GCC countries’ decision to increase the local gasoline prices. This move did not only contribute to additional revenue but also forced the public to make a wiser choice in selecting their suitable fuel. For example, the premium gasoline used to represent 65 per cent of the total gasoline consumption, but after the price change the premium consumption reduced to less than 40 per cent of the total. When will the new $100 million gas hydration facility being built by Petrofac be ready to process gas? Upstream, the kingdom currently produces some 200,000 barrels per day of oil, including its share from the Abu Sa’afa field. Could you please update us on some of the onshore and offshore initiatives being undertaken by Tatweer Petroleum and its partners to develop more difficult reserves? Tatweer Petroleum is only involved in onshore activities within the discovered Bahrain field. Over the past several years, the company has carried out steam flooding pilots to target heavy oil and residual oil and conducted several studies for the non-primary drive mechanisms within the Bahrain field. The company also introduced several new production lifting enhancement techniques and surface debottlenecking projects that helped maintain production. Tatweer Petroleum is currently exploring the possibility of collaborating with international service companies to target difficult reserves. This is in progress. With Bahrain’s total onshore proven reserves depleting fast, what are the plans for the future energy needs? 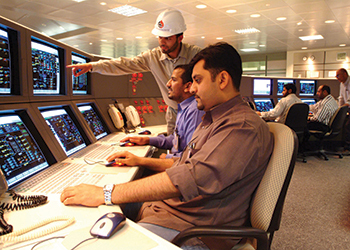 Continue to explore onshore and offshore, explore different techniques to unlock potential reserves in the Bahrain field such as in tight reservoirs and unconventionals, provide additional gas sources such as deep gas and LNG for energy. Also, invest in solar energy as a renewable clean form of energy. In addition to find new supply partners especially for the non-associated gas. The kingdom is addressing rising domestic natural gas demand, initiating new upstream exploration and production initiatives, moving forward with a new LNG Import Terminal and recently signing off a major new expansion of facilities at Banagas. Could you please comment on the long-term economic and social implications of these schemes for the country? The LNG Import Terminal forms a vital part of the energy infrastructure of Bahrain – it will give the kingdom security of supply that it needs to meet its growth in demand for natural gas to fuel large industrial projects, to generate power and water and for enhanced oil recovery. Bahrain’s LNG Import Terminal will provide it with both an insurance policy in case of potential shortages of gas and the ability to supplement domestic gas supplies with gas from LNG. 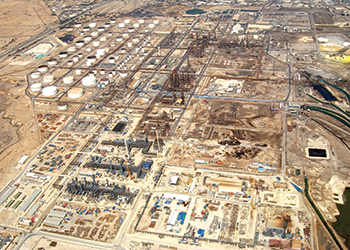 As a safeguard, nogaholding is planning to further increase gas processing capacity within Bahrain for the production of natural gas liquids (NGLs) through the new gas plant project of the Bahrain National Gas Expansion Company. This ensures optimum utilisation of the gas to fulfil the future growth in demand for natural gas to fuel large industrial projects, to generate power and water and for enhanced oil recovery. In March last year it was announced that nogaholding had signed a five-year $570 million murabaha facility to support investment into large scale oil and gas projects in Bahrain. Why did nogaholding decide to move into the syndicated credit market? What other funding mechanisms could the kingdom explore to develop the national oil and gas industry? Would the privatisation of state energy assets ever be an option? The $570 million sharia-compliant, five-year financing is the first foray for nogaholding into the syndicated credit markets to support future expansion plans, and marks the beginning of a number of strategically important growth projects for nogaholding and Bahrain’s energy industry. The transaction was well-received by the market and demand from participating banks was strong, despite the volatile market conditions as a result of continued low oil prices. The facility size was increased by 60 per cent due to investor demand and the book was significantly oversubscribed. This was a good sign and the success would pave the way for the future financing initiatives that nogaholding has in its pipeline. This was the first time nogaholding has accessed the financing markets for a multi-bank facility since its creation in 2007. nogaholding has substantial expansion plans and expects to invest in excess of $7 billion across several separate ventures in the next five years. The facility will enable nogaholding to invest in a number of profitable projects in Bahrain. These include three key developments: the Bapco Modernisation Programme, the LNG Import Terminal, and the Bahrain Gas Plant Project (part of Bahrain National Gas Expansion Company). It is worth mentioning that Bahrain LNG has recently completed limited recourse financing for the project. A syndicate of nine international and regional banks is participating in the $741 million loan which has a tenure of 20 years. Korea Trade Insurance Corporation (K-SURE) provided commercial and political risk cover for approximately 80 per cent of the financing. Could you please give any details of nogaholding’s current plans to expand its asset portfolio? Bahrain, like other Gulf States given their status as hydrocarbons producers, will further develop its downstream sector to go up the value chain and further diversify its economy. Bahrain’s good connectivity in the region and its business-friendly incentives environment (allowing for 100 per cent foreign ownership of projects across the country) gives it a competitive advantage. nogaholding has already expanded its assets portfolio with Bahrain LNG, recently forming a joint venture with a consortium of Teekay, GIC and Samsung. The Bahrain LNG Import Terminal will enable the kingdom to import LNG to augment gas production from the Bahrain Field, helping to manage the seasonal swings in gas demand, and lengthening the life span of gas reserves, while also providing additional reliability at peak demand. The LNG Import Terminal positions Bahrain as a key player within the region and allows for potential future collaboration with GCC neighbours. Bahrain Gasoline Blending has also joined nogaholding’s family. Bahrain Gasoline Blending is a joint venture between nogaholding/Bapco and Greenergy of UK. The joint venture will combine Bapco’s infrastructure and refinery gasoline production with Greenergy’s blending, terminal operations and trading expertise to meet Bahrain’s domestic demand for gasoline blend components as well as create opportunities to import and export. Bahrain continues to invest in enhancing its oil and gas production, in addition to investing in further expanding its value-added industries (like refining and other downstream industries). We believe these efforts will strengthen the long-term financial position of the kingdom. You were appointed Minister of Oil by His Majesty the King in June this year. What are your policy priorities and what do you regard as the principal opportunities, and challenges, facing Bahrain’s oil and gas industry heading into 2017? As a regulatory body, the National Oil & Gas Authority (Noga) is fully committed to achieving the 2030 National Economic Vision of the Kingdom of Bahrain. Noga’s vision is to be the oil and gas leader fuelling economic growth and improving living standards. Our strategic priorities for forthcoming years mainly are – securing sustained supply of oil and gas to meet existing and future requirements, maximising return and contribution for the growth of national economy, providing the desired policies and strategic directions, diversifying and growing oil and gas related business and sustaining world-class safety, health and environment.